"Love is a burning thing, And it makes a fiery ring"
Live At Red Rocks 8.15.95 (1997), Under The Table And Dreaming (1994), Live Trax Vol. 5: Rochester Hills, MI August 23, 1995 (2006), Live Trax Vol. 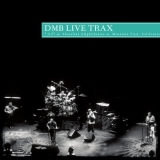 17: Mountain View, CA July 6, 1997 (this album) (2010), Live Trax Vol. 21: San Diego, CA August 4, 1995 (2012), Live Trax Vol. 37: Charlottesville, VA November 11, 1992 (2016), Live Trax Vol. 32: Berkeley, CA August 23, 2014 (2014).